I’ve had multiple versions of this kind of thing bookmarked for years and years, but somehow had never tried until now, and I’ve gotta say… don’t. Just don’t. They’re so easy and tempting to eat, you’ll power through a full cheesecake’s worth before you even realize it! Preheat oven to 275 degrees. 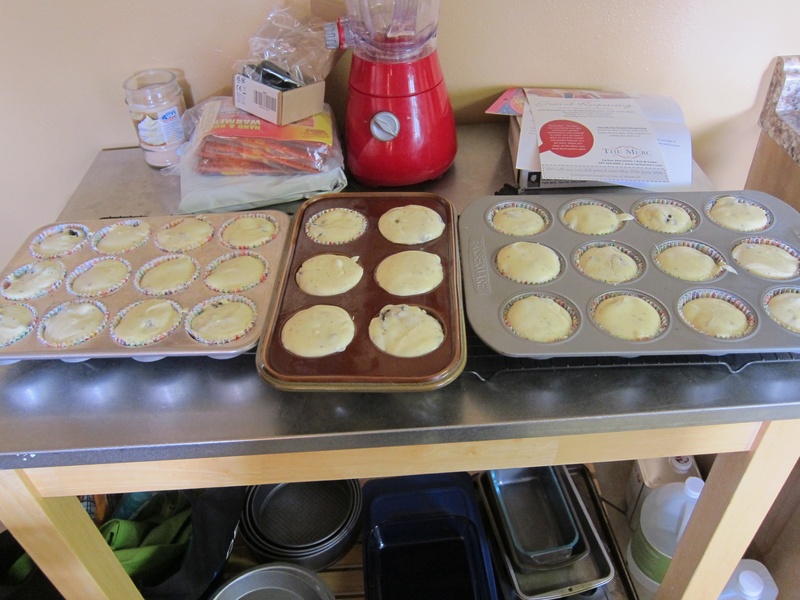 Line cupcake tins with 30 paper liners. 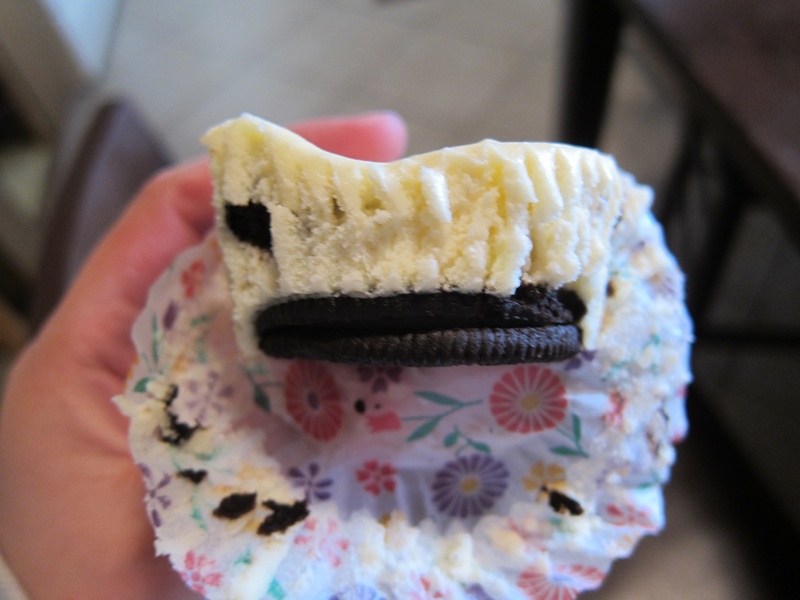 Place a whole Oreo in the bottom of each cup, then set aside. Roughly chop the remaining 12 Oreos. 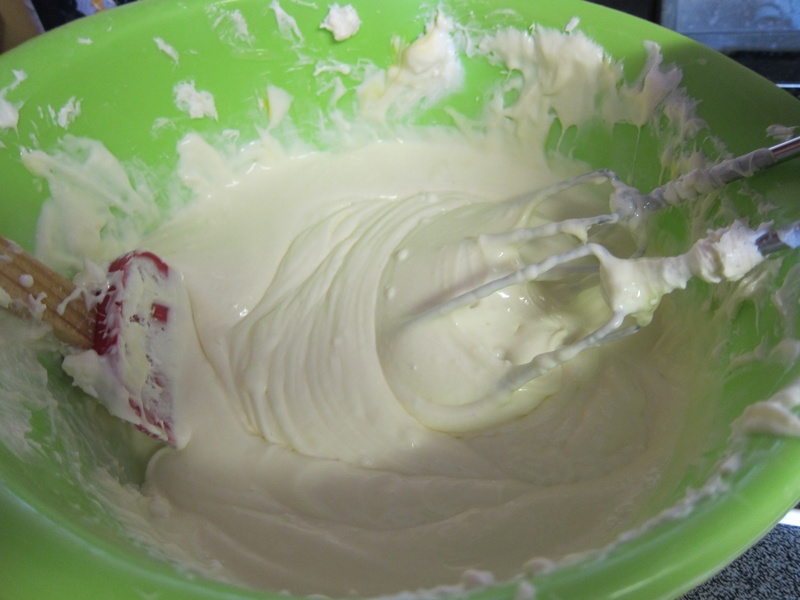 Beat the cream cheese in a large bowl until smooth. If you still have lumps, your cream cheese may still be too cold – give it another few minutes at room temperature then try again. Beat in the vanilla, then the eggs, one at a time. Beat in the sour cream and salt, then stir in the chopped Oreos by hand. 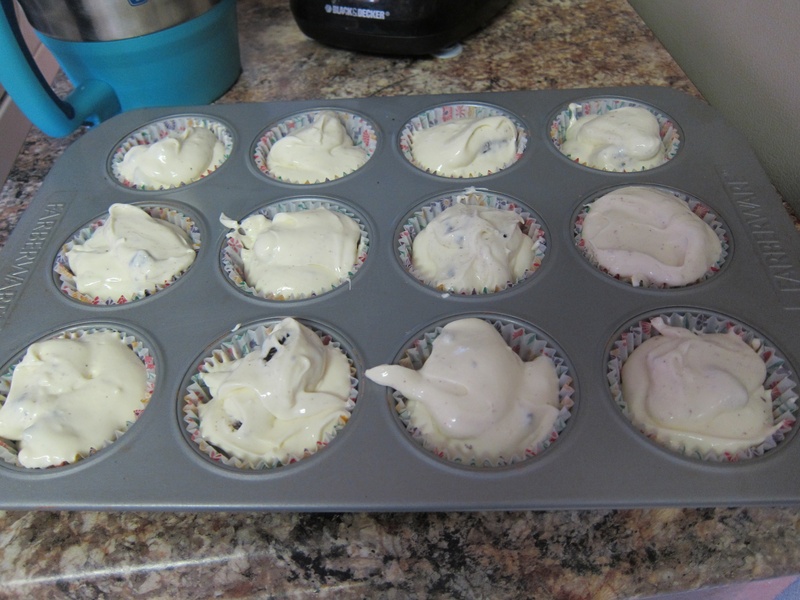 Spoon the mixture evenly into the lined cups. 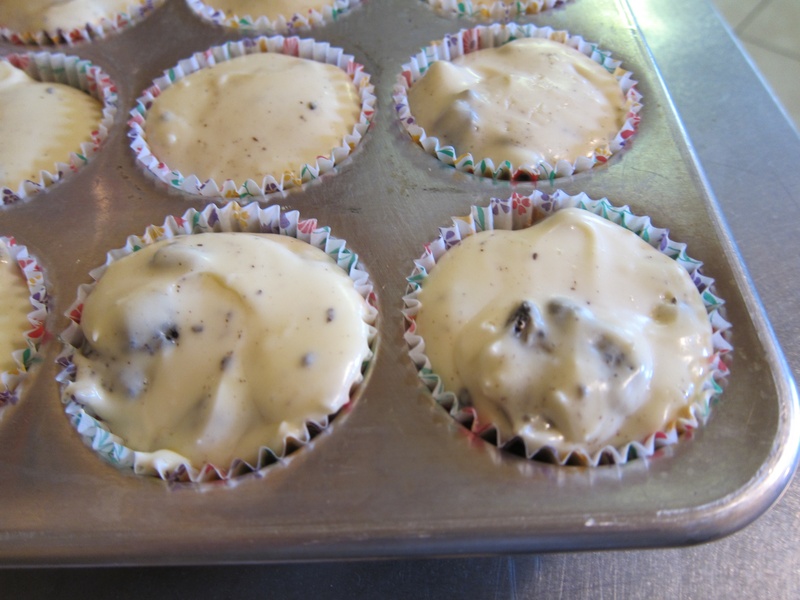 The mixture doesn’t particularly expand in the oven, so you can fill pretty full. Bake until set, about 22 minutes. Remove from the oven and cool in the pans on wire racks until completely cool. Transfer the pans to the refrigerator and chill at least 4 hours before serving. 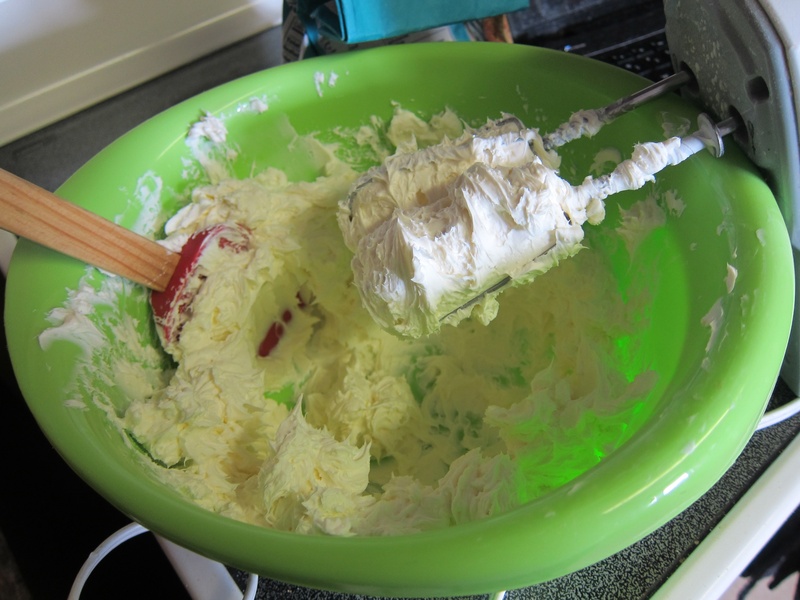 Beat the cream cheese in a large bowl until smooth. Beat in the vanilla, then the eggs, one at a time. 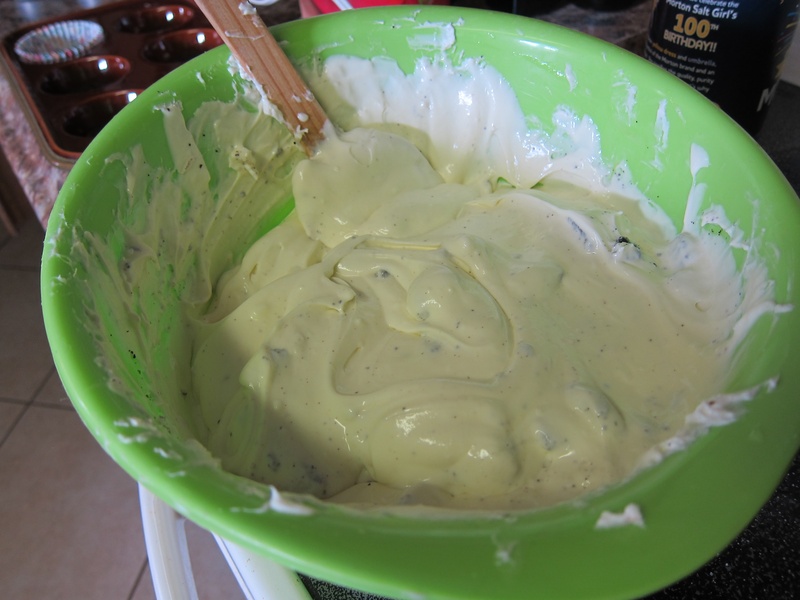 Beat in the sour cream and salt, then stir in the chopped Oreos by hand. Spoon the mixture evenly into the lined cups. Bake until set, about 22 minutes. Remove from the oven and cool in the pans on wire racks until completely cool. Transfer the pans to the refrigerator and chill at least 4 hours. 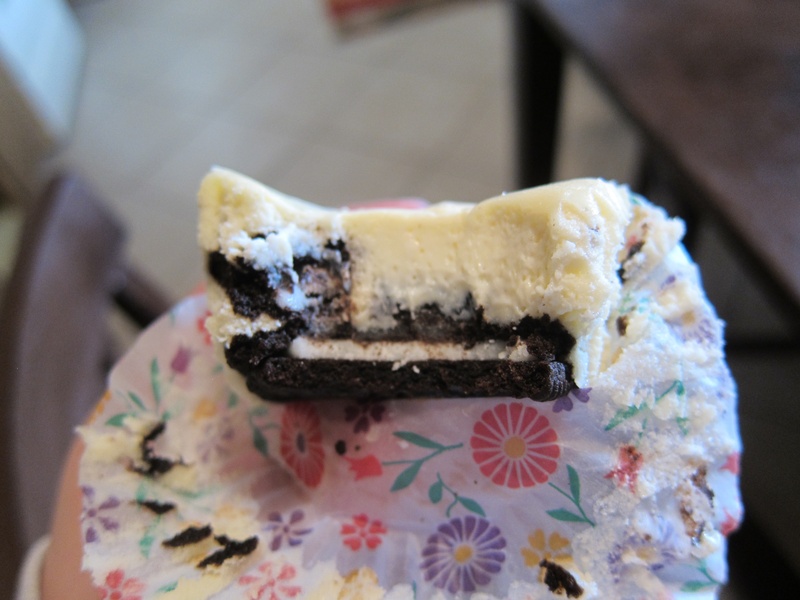 This entry was posted in Dessert and tagged mini cheesecakes, oreo, oreo cheesecake. Bookmark the permalink.